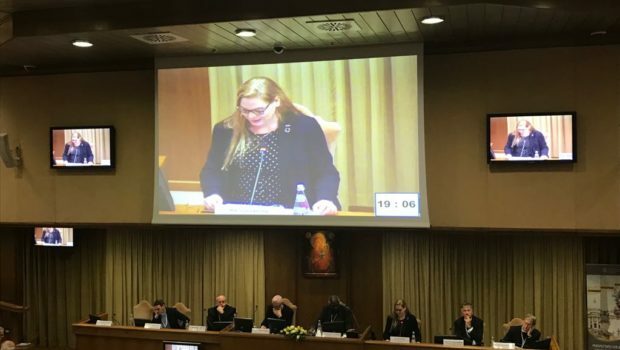 On November 11, 2017, PAX Nuclear Disarmament programme leader Susi Snyder spoke on the role of civil society in the creation of a world free from nuclear weapons at a high profile conference “Perspectives for a world free from nuclear weapons and for integral disarmament” organised by the Vatican. Please find Susi Snyder’s full speech below. Thank you. It is a great honour and privilidge to join you here today. Today I will speak about the role of civil society in furthering integral disarmament, and it gives me great pleasure to talk about this, because integrating disarmament into our efforts to build just and peaceful societies is a necessary task. This conference is timely to bring efforts for development, peace and disarmament together, to pursue humanitarian disarmament together. It has been interesting and empowering to hear so many varied voices of civil society, and the intergovernmental organisations and governments with which we work also presenting thoughtful perspectives for our path forward for a world without nuclear weapons, and the ways that we might use the Treaty on the Prohibition of Nuclear Weapons to further nuclear disarmament efforts. Civil society is lots of things, from the business sector to NGOs to coalitions and campaigns. In many ways, civil society is an amplification of the moral compass, needed to guide decision making to put the collective good at the forefront. 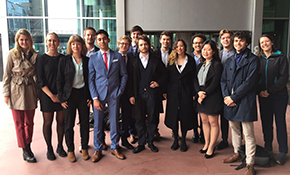 Civil society gathers and galvanizes support for strong disarmament initiatives. Often driven by a humanitarian imperative, civil society works consistently to strengthen international law, to protect civilians, and to advance our human development beyond old clumsy tools of indiscriminate harm. Civil society helps to hold accountable our elected officials to their commitments to disarmament and building just peace. We amplify the moral imperative to act with urgency for development and disarmament. A vibrant civil society is an indicator of a healthy society. When it comes to nuclear weapons, the voices of civil society have maintained attention and expertise to the issue for decades. Many thought the urgency to deal with nuclear weapons was lost at the end of the Cold War, but it was civil society that kept the need for nuclear abolition in its sights, even when many thought the urgency was gone. I am honoured to stand on the shoulders of those that came before me, that kept the fire burning for nuclear abolition. It is from civil society that we hear stories of what happened, and connect theoretical scenarios to actual humanity. Civil society makes sure that powerful words like these orient us towards nuclear abolition, and through civil society efforts that we will never forget the tragedies of our past, as we work to prevent them ever happening in the future. The nuclear weapons discourse changed in the last few years because of a concentrated effort from civil society, international organisations and some governments. To shift discussion away from the false idols of deterrence and mutually assured destruction. Civil society drove the question back to its very simple root- is it ever acceptable to cause or threaten indiscriminate fiery destruction? The International Committee of the Red Cross and Red Crescent, and the International Federation of Red Cross and Red Crescent movments have said clearly – no. This is never acceptable, and the use of nuclear weapons would violate the principles of international humanitarian law. I would like to take this moment and congratulate the Council of Delegates of the Red Cross and Red Crescent movement that just adopted a resolution which includes a four year action plan supporting signature, ratification, and full implementation of the ban treaty. The majority of the world’s governments have taken up this question, and said loud and clear that nuclear weapons should never be used again, under any circumstances. A majority- 159 government have joined their voices to this powerful statement, and together this elevated the question of whether nuclear weapons can ever be legitimate. 122 nations voted only a few months ago to finally outlaw nuclear weapons. None of that would have been possible without the partnerships faciliated through civil society. To be effective, civil society must make strategic and tactical decisions, and engage with different actors, amplifying different voices at the right times and places. In taking forward the Treaty on the Prohibition of Nuclear Weapons, and in advancing the Humanitarian Disarmament agenda as a whole, civil society needs to continue expanding our alliances and engaging with effective influencers. This can and does take many forms. For example, physicians who take the Hippocratic Oath to “first, do no harm” into the arena of political persuasion. Or the scientists that have explored and explained the damage to our bodies, that nuclear weapons cause. These partners are necessary to illustrate the urgency of change, and explain the terrifying consequences if we do not. 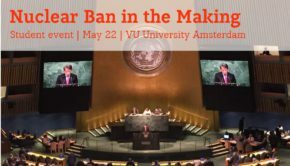 This evidence based approach adds urgency to the need to prevent harm, because there is no safe exposure to nuclear weapons, and the risk of use continues to grow. The media also plays a role, and these last months that role has been to describe the increasing risk we face of a nuclear conflict. Using this elevated awareness, civil society is working with partners in politics to build support for activities that might help reduce this risk. Right now we have an opportunity to act with urgency and possibly reduce the risk of the use of nuclear weapons. US Senator Corker has called for a hearing to discuss the authorisation for the use of nuclear weapons. The first such hearing since 1976. This is an amazing opportunity to ask the fundamental question whether it could ever be legitimate to use weapons that incinerate a city in a flash. It is also an opportunity to state clearly that any use of nuclear weapons is now prohibited under international treaty. Civil society also engages in other creative progressive efforts. One of the projects we’re really glad to implement as part of the International Campaign to Abolish Nuclear weapons is called Don’t Bank on the Bomb. Through this unique research and publication, we publicly identify the companies behind the production of nuclear weapons. Because nuclear weapons are not only produced by government agencies, in most of the nuclear armed countries, private companies produce the key components necessary to use nuclear weapons. Don’t Bank on the Bomb identifies the companies involved, and also names the banks, pension funds and insurance companies that invest in them. These financial institutions are trying to make a profit by helping to build inhumane and indiscriminate weapons. We name them, and actively engage with them to encourage them to end their investments. We also encourage the governments that are currently ratifying the treaty on the prohibition of nuclear weapons to include an understanding that the prohibition on production also prohibits any investment in the companies that produce them. Don’t Bank on the Bomb is also a way for civil society to play another of its necessary roles- to keep offering hope and confidence that change is possible. We make it a point to also profile those institutions that have rejected any association with nuclear weapons producers- those that have excellent policies prevent investment. It is important to always have role models. We know from other efforts that divestment, by even a few institutions, for the same reason can have a tremendous impact on the way a company operates. Recently two American companies decided to end the production of cluster bombs, despite the failure of the US to sign onto the Cluster Munitions Convention. 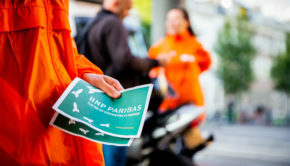 The companies said they wanted to enable European investors to engage with them again. Divestment activities are powerful, and they generate change. They are also something with which anyone who has a bank account or pension fund can engage. Any religious community can also seize this opportunity to make sure its investments do not fuel weapons but instead faciliate sustainable development. Hope is fueled by the opportunity to take action These action opportunities are provided by civil society globally, and they build on one another. A small success, can build and grow and eventually become a world changing event. Gandhi may never actually have said “First they ignore you, then they laugh at you, then they fight you, then you win“, but the sentiment reflects the underlying power of continued and consistent efforts to create change for the good, for peace. 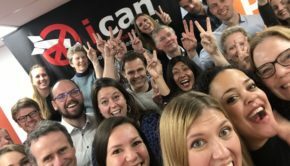 20 years ago, when the treaty to ban anti-personnel landmines was signed, we witnessed the power of civil society and the potential of humanitarian disarmament. 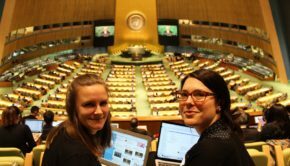 It continued with the prohibition on cluster munitions, and, now includes the prohibition on nuclear weapons. Civil society, working with States and international organizations can and does harness the power to prevent unacceptable suffering and redirect energies towards building sustainable and just societies. Civil society plays many roles, it elevates and amplifies the voices of those affected, it reframes and reshapes discussions. Civil society can move politicians to show leadership and advance policies to move mountainous agendas at least a little bit. Civil society provides the evidence, the research, the justification for acting to prevent harm, to disarm now- before it is too late. And civil society is creative, we come up with slogans and cheers, demonstrating in the streets or dancing atop decommissioned missile silos. Civil society is a necessary partner in moving the abolition agenda, and through all our efforts, civil society continues to hope- hope that the goodness in every human heart will shine through the darkest of times and lead us to the light of a nuclear weapons free world. Today we need that hope. 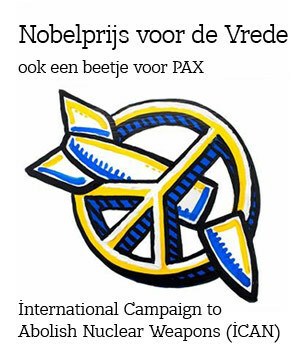 The hope found in campaigns like the International Campaign to Abolish Nuclear weapons (ICAN). The hope portrayed by our partners around the world. And with that I hope we will continue to work together to achieve nuclear disarmament and integral human development. 1 Olson, Mary. 2016. “Human consequences of radiation: A gender factor in atomic harm.” In Civil Society Engagement in Disarmament Processes, 26-34. United Nations. Accessed November 8, 2017. https://s3.amazonaws.com/unoda-web/wp-content/uploads/2017/03/civil-society-2016.pdf. 2 Restricting First Use of Nuclear Weapons Act of 2017. 2017. Accessed November 8, 2017. https://www.congress.gov/bill/115th-congress/house-bill/669.